Chicago’s top-rated gas powered boat rentals. You are the driver, which allows you and your group the privacy you deserve. BYOB and snack or we can have your food and drink waiting. Easy to drive and private to your group! Nothing says “summer” like going for a cruise on a gas powered pontoon boat with some drinks, good music and friends or family. During this two-hour rental, you and your group are free to cruise the Chicago River, enjoying the breeze while you take in the beauty of the city all around you. On Wednedays and Saturdays beginning memorial Day, you can even watch the Navy Pier Fireworks from your boat! The type of cruise is up to you. Because pontoons are easy to drive, you won’t need a captain; you’ll have the boat all to yourselves to relax or live it up. You can bring your own drinks and food, and the boats are Bluetooth compatible, so you can set your own playlist with your phone! Our river cruises offer family fun for kids and adults. Birthday, Bachelor, Bachelorette, Reunions or Corporate Events Chicago Boat Rentals will make your event unforgettable! Cruise the Chicago River on your private boat. Faster than the electric boats! If you have a promotion code or discount code please enter in the promotion code link before checkout. 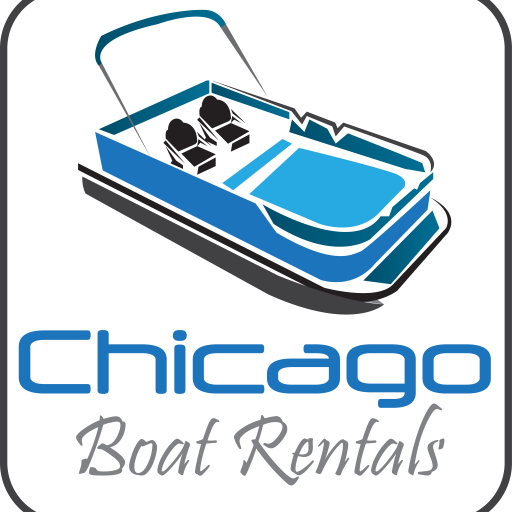 Rent a gas powered pontoon from Chicago Boat Rentals. Feel free to bring your own food and drink. We supply the life vests and our Dock Team will provide you with instructions on how to operate our boats. They are as simple as driving a golf cart, a valid drivers license is required to drive. Boat Rentals are for 2 hours. For longer rentals, you should book back to back. If you are an existing customer, you can log in below, or sign up and receive discounts and offers. If you are interested in becoming a member simply sign up and that option will be available when you log in. If you have an expired Groupon, we will accept it and give you credit towards another boat rental or issue a gift card. Simply send an email with a copy of your unused expired voucher.